Scientifically well-known as electrolysis and accepted as being GREEN sensitive, performance easy,cost effcient and enviromently alternative to old fashioned chemical product but Mechanically Unknown-yet Technology and system. KTCC is the first market developer and leader making this technology available to a wide range of users since 2001. KTCC has offered a range of procuts from Domestic Alkaline water ionizers to industrial Hygiene care generators cross the world. KTCC Team has many years experience, scientific know how, industry knowledge and application experience and are available ready for mass distribution. NO Matter Where You are ! No Matter Your Biz is linked with ! Water is a Key source to Your Life, KTCC [Key Tech & Consulting Corp] has the Key. 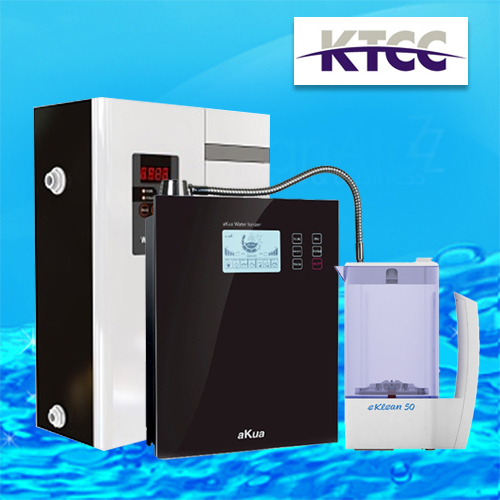 KTCC is very specilized in Water-Use Products and Technology in Medical, Health Care, Food Safety, Agricultural Industries.